The local HD TV channel is showing the Star Wars Clone Wars annimation series every Saturday, last week's episode features Luminara Unduli. 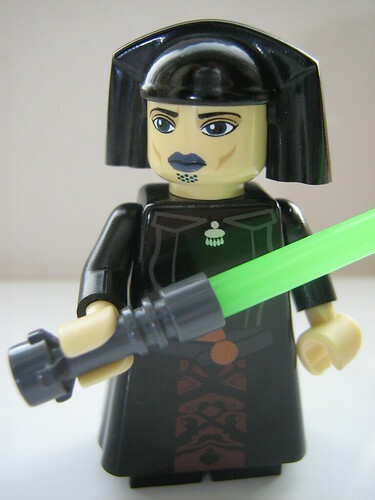 I first notice the lady Jedi character from Lego set 7260 Wookiee Catamaran, but found the face of Luminara not well designed. Yesterday, I noticed a custom Luminara minifig on Flickr and was pretty impressed, I hope Lego will come up with a set containing a Luminara minifig with this quality! Perhaps with her and Ahsoka fighting side by side against Ventress, just like what I saw in the past episode!